What kind of things affect wedding flower prices? 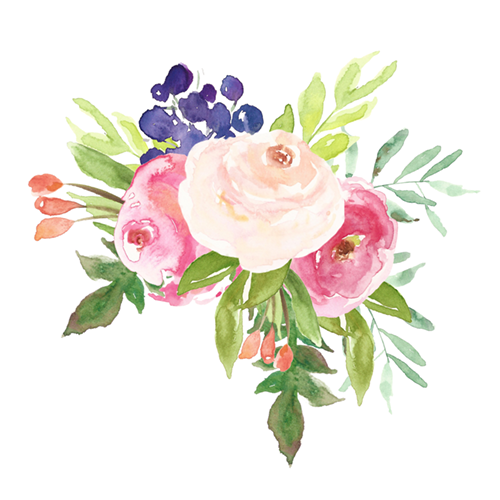 What is the process for determining the cost of my wedding flowers? The first step is filling out our Wedding Inquiry Form. This gives us a lot of information about your wedding details and about your vision for your day. Then we will set up an initial consultation with you. Before our consultation, we’ll use Pinterest to create a ‘vision board’ for you. At the consultation, we ask for a lot of specifics about what you have in mind and you may want to show us some pictures of looks you like. It is helpful if you have a general idea of your budget, that way we won’t show you things that are not affordable or have you disappointed that your floral decor doesn’t live up to your dreams. Then we bring you a proposal that has all the details and an estimated budget. Of course, that’s just the first draft! If you decide work with us we will keep adjusting it until everything is just the way you like. We ask for a ten percent deposit to hold your date, and we’ll invoice you for the balance which is due 10 days prior to the wedding. Of course, you can still make changes to the details up until we order the flowers about three weeks ahead of time. But really, I have no idea what wedding flowers cost! Here’s a little rule of thumb to help you get an idea of what you might spend. But remember all the variables mentioned above! It is often suggested that you allow 10-15% of your overall wedding budget for flowers. Of course, there are many variables such as the type of flowers, lushness of each piece, etc. 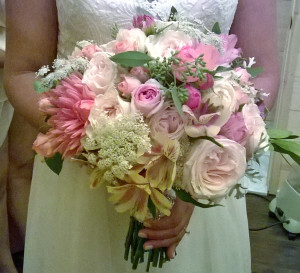 So bring us your ideas about your dream wedding flowers and we’ll help you create an unforgettable event.